Love them or hate them, New Years Resolutions do make you think about the future. According to a 2012 survey by University of Scranton, an estimated 190 million Americans create a yearly list of things to do or improve upon. If by chance one of your items is to create a financial plan, live on a budget or get debt under control, then January is the perfect month for you to since it’s National Financial Wellness month in the U.S. MyJobChart.com CEO Gregg Murset recommends making resolutions that are achievable for you but can also serve as teachable moments for your children. Decide you are not going to just shell out money to your kids anymore. When they come to looking for money, let them know that they will have to work for it. Tying work and reward together in meaningful ways will help them understand responsibility and accountability. Long gone are the days when we should be teaching our kids about money by dropping coins into a bank that looks like a pig, jar or favorite sport team mascot. Get them a real bank account and teach them how to manage their money though online services. If you really dissect your bills, you will be shocked how much you spend over the year so your kids can send texts, borrow the car or get the latest video game. Kids should pay some portion of the bills they help create each month. This is a perfect opportunity for you to sit down and teach your children about how much things cost, especially things that they really want. Set up a matching program for your kids. They save a dollar and you match that dollar. Sit down and determine what they would like to save for and then set out to accomplish it together. Comic Books To Teach Kids About Money? Really? Last year a credit card company teamed up with a leading comic book to teach kids about personal banking practices. Why does something as important as personal finance have to be jammed into little white blurbs above super heroes heads in a comic book? Parents should be fighting to get personal finance taught in our schools not forcing the subject where it doesn’t really fit. No matter how your children earn their money, make sure donate a portion to a charity of their choice. The average American gives away about 4% of their annual income to charity and perhaps that percentage would increase if the next generation made giving a common practice. Set Goals That Are Meaningful. A start of a new year is a great time to sit down with children and talk goals. Meaningful goals. 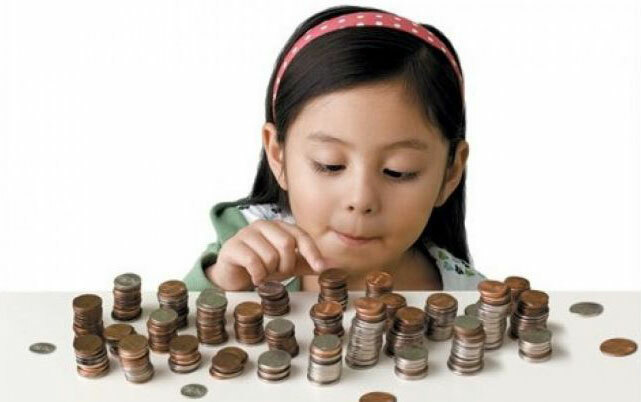 Help your children put together a plan on working toward and saving for something significant. It could be a bike, musical instrument, laptop computer or a future college degree. The more meaningful the goal, the harder our kids will work to accomplish it. Gregg Murset is the founder and CEO of My Job Chart, an online community teaching kids about work ethic and making smart money decisions. Murset is a father of six children (ages 6 to 16) and needed a way to teach them about earning, saving and spending money. With no system available for a family with a large range in ages, Murset came up with the idea to combine modern technology with the traditional allowance system to teach responsibility, accountability and the fundamentals of financial literacy.